Two of the main reasons for conflict in the home are disobedience and lack of communication. Parents often complained that their children especially the teens do not listen to them. 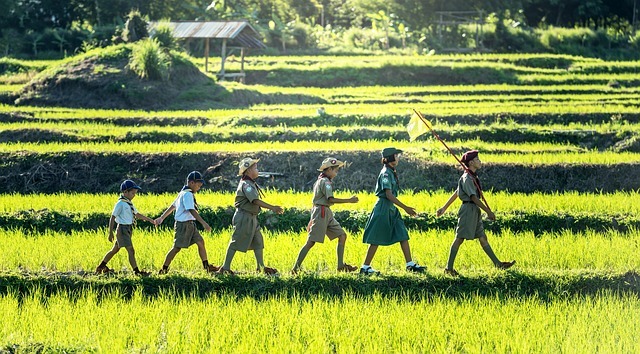 The Bible states that children must obey their parents in the Lord meaning in the teaching and principles of God. It, therefore, means that parents should seek the Lord for direction in raising their children and must be obedient to Him. Disobedience led to the fall of humanity in the Garden of Eden resulting in a cursed earth and a corrupt nation. There was only one remedy to this situation, and it was the sacrifice. The yearly sacrifice of a clean animal during the Old Testament period and then finally the ultimate sacrifice of the Son of God. Disobedience led to the downfall of Saul, the first king of Israel. Saul disobeyed God’s explicit instructions to destroy all of the enemies including all the animals after the war, but he kept back the best animals to sacrifice to God. Although the Lord delights in sacrifices, on this particular occasion, He did not want sacrifice from Saul He wanted obedience. “Has the Lord as great delight in burnt-offerings and sacrifices, as in obeying the voice of the Lord? 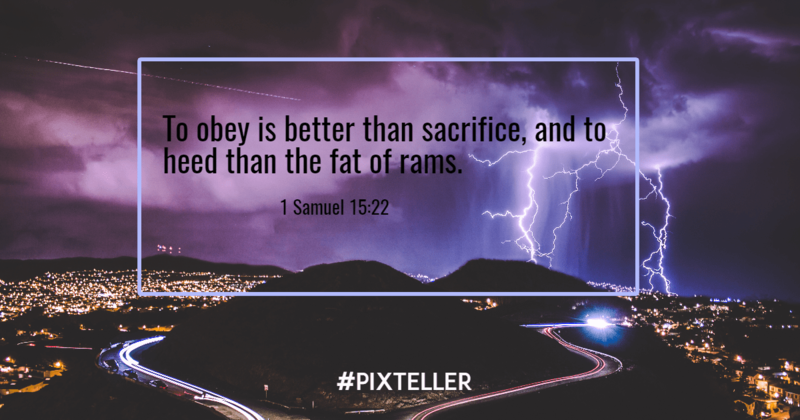 Behold, to obey is better than sacrifice, and to heed than the fat of rams. In our dispensation, we no longer offer animal sacrifices to God because Christ death and resurrection paid the penalty for all our sins. Therefore, the sacrifice that God now requires of us is a broken spirit, a broken and contrite heart. The Lord will not despise humility and repentance (Psalms 51:17). Presenting our bodies holy and acceptable to God become our living sacrifice to God (Romans 12:1). Our Thanksgiving and praise to God in spite of our circumstances are also a sacrifice to God (Psalms 116:17; Jeremiah 33:11). Mercy and knowledge (Hosea 6:6, Matthew 9:13). Righteousness and justice (Proverbs 21:3). Loving God with all your heart and soul and loving one another as yourself is more to God than all the burnt offering and sacrifices (Mark 12:33). A prideful heart will lead to disobedience and outright defiance to the authority of God. 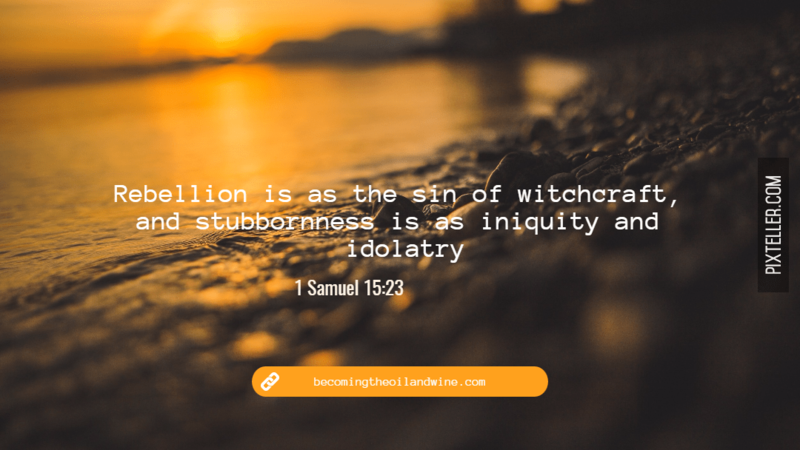 God considers disobedience or rebellion as the sin of witchcraft and stubbornness as the iniquity and idolatry. A stubborn person is stuck in his ways and will not budge even when God is speaking to him. Unfortunately, such individual cannot discern the voice of God. Disobedience and stubbornness are practiced in the homes when children are unruly, and parents and guardians are set in their ways. Parents who are inflexible in their rules even when they are in error will result in tension and confusion in the homes. Bishops, pastors, and leaders in the church are disobedient and stubborn when they are fixated in traditions and rituals. They refused to incorporate the younger generation in the services. For example, the Lord has been proclaiming to the Church to teach His Word so that the younger generation will understand. Even though preaching is necessary, harvesting the millennial generation can only be done through teaching. Preaching appeals to the emotion while teaching appeals to the understanding. Thus, preaching produces people who are very emotional in the church. When the word is preached, they will scream, cry and become spirited but they do not necessarily understand the Word. While teaching the Word will give you knowledge and appreciation of it resulting in a change in your life. The millennial generation wants understanding not emotions, but the leaders continue to preach, and the young people continue to sleep in the churches. Consequently, the young generation is slowly becoming despondent and leaving the church while many people are not inclined to join the Church because of the spiritual stumbling blocks. Thus, the Church has become stagnated with a lack of growth. Every member of the body of Christ (leaders and members) need to humble themselves and repent. We need to root out the sin of witchcraft from the homes and churches and allow the Lord to cleanse us.